To see a house go from kerosene to solar ... it’s life-changing. No longer do they have a proclivity for upper respiratory infections because of the soot. Danny Simpson, the Nageezi delegate to the Navajo Nation, says Joe Williams' respect for the Navajo helped build trust. Other beneficiaries that day included James Cambridge, an 89-year-old who lives alone in an ancient metal trailer supported by plywood. He’s a slim military veteran who loves to talk and joke. Rotary member Joe Williams shares why he's passionate about this project in this blog post. Before Rotary members installed a solar light, Jerry Domingo relied on light from his window. Jerry Domingo says detailed jewelry work was difficult without proper light. 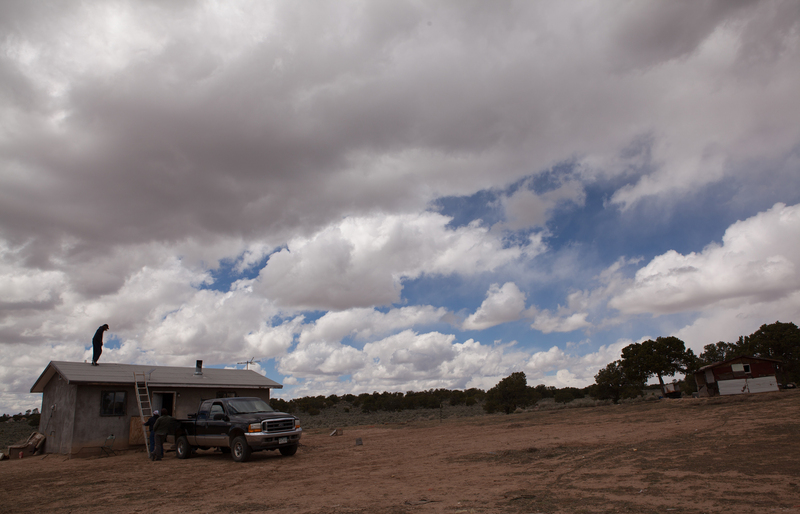 Jerry Domingo works on jewelry in his home on Navajo land. Without a solar light, Jerry Domingo says he would have had to quit making jewelry.